The night before any of my circles or programs begin, I send out a secular blessing to the participants in the group as well as those signed up to receive my weekly love letters. 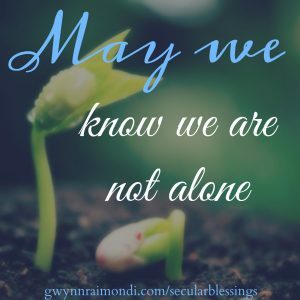 It is my way of helping set an intention for our work together and to invite us all to join in this work, whether you are actually joining the group or continuing to do this work in your own ways. I began sharing these blessings on social media, and they have been warmly received. And so, now, every few days I send out a blessing to all of us as a way to set an intention for our weeks, for our days, for our own lives. If you’d like to learn more about me and the work I do you can go to my about page here. If you’d like to sign up for my weekly love letter were I explore trauma, grief, embodiment, and their intersections and tie that all together to both our personal and cultural experience, you can subscribe here. I also facilitate a free Facebook Group where we focus on exploring trauma, grief, embodiment and their intersections. You can ask to join here.